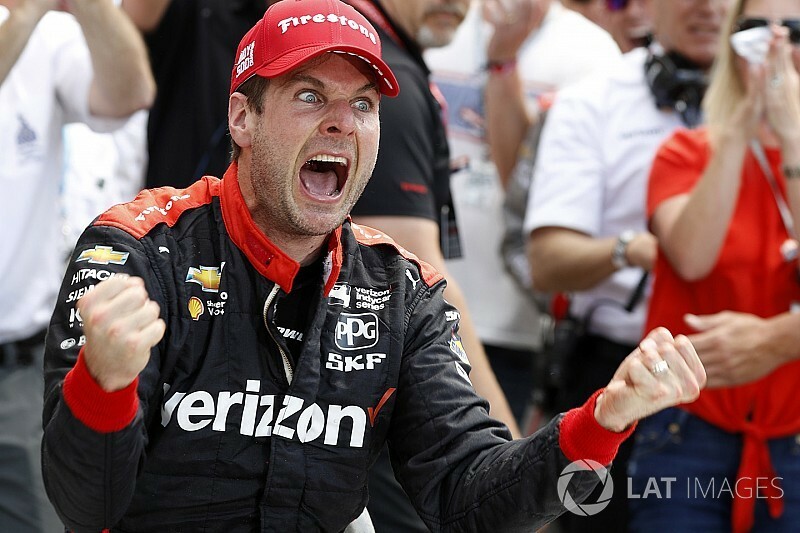 Will Power won the 102nd running of the Indianapolis 500, to score Roger Penske’s 17th victory at the Speedway, and become the first Australian to achieve the feat. A late yellow while Power was running in fourth seemed to give off-strategy cars ahead half a chance, but surprise leader Stefan Wilson, Jack Harvey and Oriol Servia all had to pit leaving the #12 Team Penske-Chevrolet with a healthy margin over polesitter Ed Carpenter and Scott Dixon to reel off the remaining five laps. 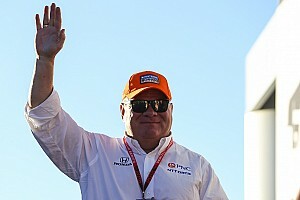 The victory marks Power’s 34th Indycar win and moves him level with Al Unser Jr., eighth in the all-time winner list. At the drop of the green flag, Will Power moved his Penske straight into second place behind polesitter Ed Carpenter after driving around the outside of Simon Pagenaud, although Pagenaud got back at him into Turn 1 at the start of Lap 4. Reigning IndyCar champion Josef Newgarden in a third Penske headed Sebastien Bourdais’ Dale Coyne Racing-Honda, as Tony Kanaan moved his AJ Foyt Racing-Chevy from 10th on the grid up to sixth within just two laps, chased by Spencer Pigot’s ECR-Chevrolet, Helio Castroneves in the fourth Penske, Scott Dixon in the Chip Ganassi Racing-Honda and Marco Andretti in the Andretti Autosport-Honda. In these early laps, Andretti’s teammate Ryan Hunter-Reay ran 11th, just ahead of Danica Patrick (ECR), Matheus Leist (Foyt), Zachary Claman De Melo (Coyne) and Charlie Kimball on Carlin-Chevrolet’s debut. Carpenter held a 2sec lead after 22 laps, and his pursuers were roughly equidistant behind, except for Kanaan who was just one second away from Bourdais. 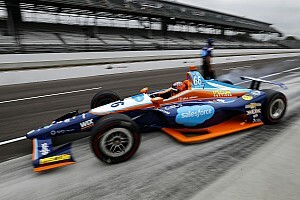 Former Indy winners deep in the field were Alexander Rossi running 26th (up from 32nd on the grid), while defending winner Takuma Sato was passed for 17th by the hard-charging Carlos Munoz on Lap 25. Carpenter came up to lap Conor Daly at around the same time and that allowed Pagenaud to gain on him, as Carpenter struggled to pass. Danica was the first to pit on Lap 29, asking for half a turn of front wing, while Kanaan stopped on Lap 30. Soon after, Carpenter, Pagenaud stopped, and the following lap Newgarden – who’d just gotten around Power – also hit pitroad. Further down the order, Dixon’s crew got him turned around in time to beat Bourdais off pitlane, but he couldn’t stay ahead. As the order shook out, Kanaan’s early stop had paid off beautifully, jumping up to second behind Carpenter, with Newgarden now top Penske, with Pagenaud, Castroneves and Power in line astern. Behind them ran Pigot, Bourdais, Dixon, Andretti, Hunter-Reay and Patrick completing the top 12. Impressively, Rahal – after some strong passes in the first stint, and a slick pitstop, was now running 17th, after starting 30th. The first yellow of the race emerged on Lap 47, when James Davison’s third AJ Foyt Racing-Chevrolet suddenly backed off to avoid getting up in the gray and was clattered into by Sato, eliminating both on the spot. The following Rahal saw the cars tangled and ducked into the slowdown lane (as used for pitstops during practice) to avoid them, and then rejoined the track on the ‘race’ pit-in road, out of Turn 4. Munoz, meanwhile, escaped through the closing gap between Davison’s car and the wall. A lucky break. The frontrunners pitted immediately the pits were open, the lapped runners followed in while the track was still being cleared. 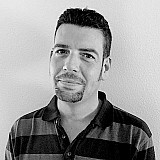 The exception was Claman De Melo who stayed out front, while Carpenter would line up second ahead of Kanaan. Power’s crew had jumped him ahead of his teammates Newgarden and Pagenaud, and these three were followed by Pigot, Dixon, Castroneves, Bourdais, Hunter-Reay and Kimball. The restart came at the start of Lap 56 and Carpenter immediately took ZCDM into Turn 1. Kanaan did likewise down the back straight, while Newgarden pinched Power enough from the outside that the #12 lost momentum and ceded fourth to Pagenaud too. The next yellow didn’t take long in coming. On Lap 58, Ed Jones’s Ganassi-Honda got low in Turn 2 and the unsettled #10 spun up and into the wall on the exit. He would be taken to Methodist Hospital, complaining of head and neck pain. The restart order would be Carpenter, Kanaan, Newgarden, Pagenaud, Claman De Melo, Power, Castroneves, Pigot, Hunter-Reay and Andretti completing the Top 10. At this point, Dixon and Bourdais – Honda’s highest qualifiers – ran only 11th and 12th, ahead of Robert Wickens (Schmidt Peterson Motorsports-Honda), Kimball and Leist. The green flag waved again at the start of Lap 64, and Kanaan hung back initially to get a good run on Carpenter and grab the lead, while Power quickly dispensed with Claman De Melo, and Castroneves did the same. But next time by, Carpenter slotted ahead of Kanaan down the inside of Turn 1 to retake the lead. However, with that single lap led, TK eclipsed his team boss AJ Foyt for most Indy 500s led – 14. Again, the racing was brief – Danica Patrick’s final ever race ended with a spin at Turn 2 on Lap 68 while lying 17th, smacking the outside wall with her left side before her car was spat across the track and into the inside wall. When the pits opened again, Newgarden, Claman De Melo and Wickens were the only takers. They would emerge 20th, 24th and 21st respectively, now with Newgarden having grabbed some extra turns of front wing. It meant the restart order would be Carpenter, Kanaan, Pagenaud, Power, Castroneves, Hunter-Reay (now highest Honda in sixth), Pigot, Andretti, Dixon, Bourdais. Kanaan got around Carpenter once more as the green waved, while Power passed Pagenaud for third. Further back, the big movers were Scuderia Corsa with RLLR’s Oriol Servia (10th) and Rossi (12th), the latter of whom survived a big squeezed toward the Turn 3 grass by Bourdais. Seb fell back still further, to 15th, as Kimball, Leist and Sage Karam (Dreyer & Reinbold Racing) all deposed him. Up front, Kanaan retained the lead this time and on Lap 82, he had a lead of 1.3sec, the next significant order change coming when Andretti passed Pigot for seventh but these two were 7sec behind Hunter-Reay in sixth. Running at the front, Kanaan was inevitably using more fuel and he pitted on Lap 90, with Carpenter ducking in two laps later, leaving Power up front leading a Penske 1-2-3. That got broken up by Pagenaud stopping on Lap 93, Power and Castroneves on 94. 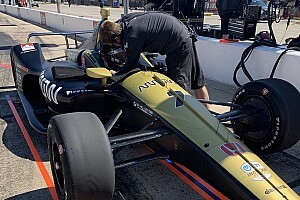 Pigot, however, was given a drive-through penalty for a speeding in pitlane. During the pitstop sequences, Bourdais led, keeping alive his stat of leading every race this IndyCar season. Kanaan got massively unlucky and picked up a puncture, requiring a pitstop on Lap 99, and the off-strategy cars started following suit – Newgarden went 31 laps before stopping on Lap 100. There was a mild hiatus when Veach’s fuel hose dribbled over his hot engine cover during a pitstop, and the sidepod caught light, but he was waved out and the flames went out. The temporary top three, Rahal, Wickens and Munoz pulled in on Lap 106, leaving Claman De Melo up front for another lap, and the ‘on strategy’ Power took the lead, 4.7sec ahead of Carpenter who had Pagenaud 1.1sec behind, chased by Hunter-Reay, Castroneves, Andretti, Kimball, Dixon, Bourdais and Leist. Sadly, Kaiser, who’d pitted after 109 laps, got out of his car a few laps later, his first Indianapolis 500 over. On Lap 121, Wilson unlapped himself from leader Power and zoomed past Howard who was five laps down. This temporarily wrong footed Power and allowed Carpenter to draw within 1.2sec, but Power then stretched the margin to four seconds once more. Carpenter would stop on Lap 127, leaving Power leading Pagenaud by 5.3sec, but then Pagenaud and Castroneves pitted on 128 and Power stopped on Lap 129. The slightly off-sequence Rahal, Munoz and Wickens trio up front was broken by Wickens pitting on Lap 137, Rahal on Lap 138… And then out came the yellow flags. Bourdais had lost control in Rossi’s wake in the short chute between Turns 3 and 4, and had spun into the T4 wall. When the pits opened on Lap 141, Munoz, Claman De Melo, Wilson, Kimball, Gabby Chaves (Harding Racing) all stopped. Power, Carpenter, Pagenaud, Hunter-Reay, Castroneves, Andretti, Karam, Dixon, Rossi and Leist was how they took the green but Rossi stormed around the outside of three cars for place and two backmarkers through Turns 1 and 2 to grab sixth. Moments later that became fifth, as Castroneves looped his Penske into a spin and into the Turn 4 wall, then spinning down pitlane. The full-course caution that followed meant everyone would have to stop just one more time. The only driver to stop under yellow was Claman De Melo. On the Lap 154 restart, Rossi wasn’t intimidated by Hunter-Reay’s squeeze as he went to make a move for fourth, but Rossi just flicked to the outside and passed Hunter-Reay around the outside and moved past Pagenaud for third. And the sixth yellow flag came out just one lap later, as Karam struck the Turn 4 wall sideways, ripping off his right-rear wheel which thankfully bounced harmlessly down the start of pitlane, so the order was now Power, Carpenter, Rossi, Pagenaud, Hunter-Reay, Andretti, Servia, Dixon, Leist and Rahal. It was too early for the frontrunners to pit under yellow, and instead it was just Servia, Kimball, Wilson and Veach who stopped… until with one lap of yellow to go, Dixon pulled in for more fuel and rejoined at the tail of the field. The team was clearly gambling on another yellow and for Dixon to need no more stops; when the race restarted, Dixon was running only 209mph laps, some 10mph off Power’s lap times. That restart came on Lap 162, and Power got the jump on Carpenter who had to fight hard to maintain second place through Turn 1 ahead of Rossi, while Kanaan went four-wide down the back straight to leap into ninth place behind Newgarden, and Rahal got around Andretti to move into sixth, tailing Hunter-Reay. Andretti and Newgarden stopped on Lap 170, Power pitted on Lap 171, and Hunter-Reay and Kanaan would do the same a lap later, Carpenter and Rahal on 173, and Rossi on 174, Pagenaud on 175. A slightly long stop for Pagenaud demoted him behind Hunter-Reay. Power had emerged ahead of Carpenter and Rossi once more, but in sixth, behind the off-sequence Servia – whose lead was 3.4sec – Wilson, Harvey, Dixon and Claman De Melo. Power and Carpenter passed Claman De Melo and Power went past the off-the-pace Dixon for fourth on Lap 185. He was 14sec off the lead, but all three cars ahead would need a full-course caution to make it to the end without a pitstop. At the end of Lap 188, Kanaan looped into a spin off Turn 2 while trailing Newgarden. Suddenly the cars ahead of Power didn’t need to stop – he’d have to pass Servia, Wilson and Harvey, while also fending off Dixon, Carpenter, Rossi, Hunter-Reay and Pagenaud, stacked up behind him. At the green on Lap 194, Wilson and Harvey went either side of Servia to take the lead, so Wilson took the lead, while Power also demoted Servia to third to get into Harvey’s slipstream. He didn’t need to – Wilson and Harvey had to dash into the pits, and a lap later Power’s nearest opposition had to do the same. Power suddenly had a 2.2sec lead with two laps to go and he finished the job with ease, leading home Carpenter, Dixon and Rossi, with Hunter-Reay fifth, ahead of Pagenaud, Munoz, Newgarden, Wickens and Rahal.